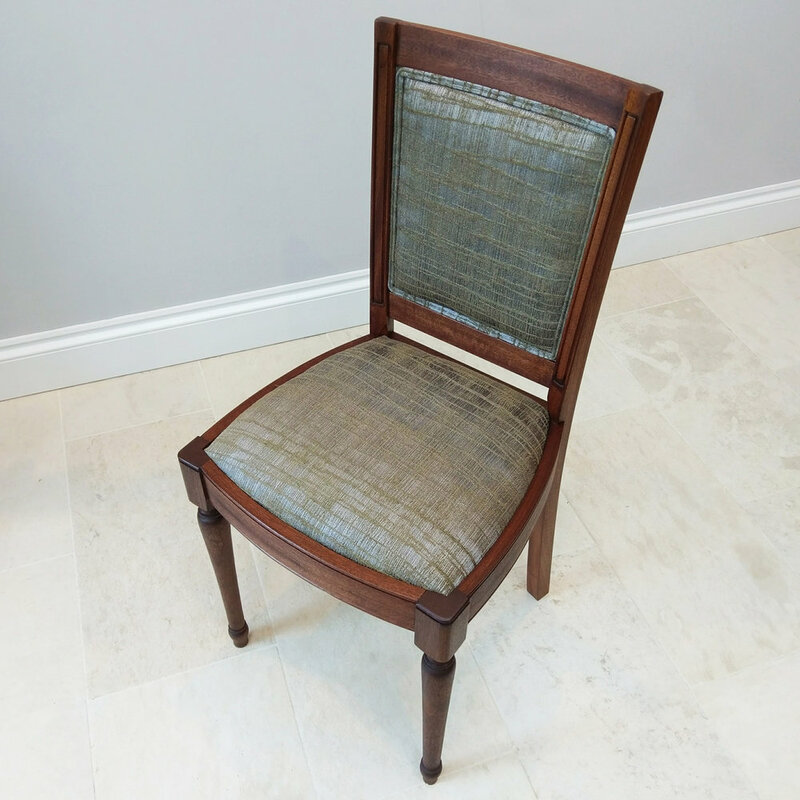 A solid sapele dining chair with upholstered seat and back. 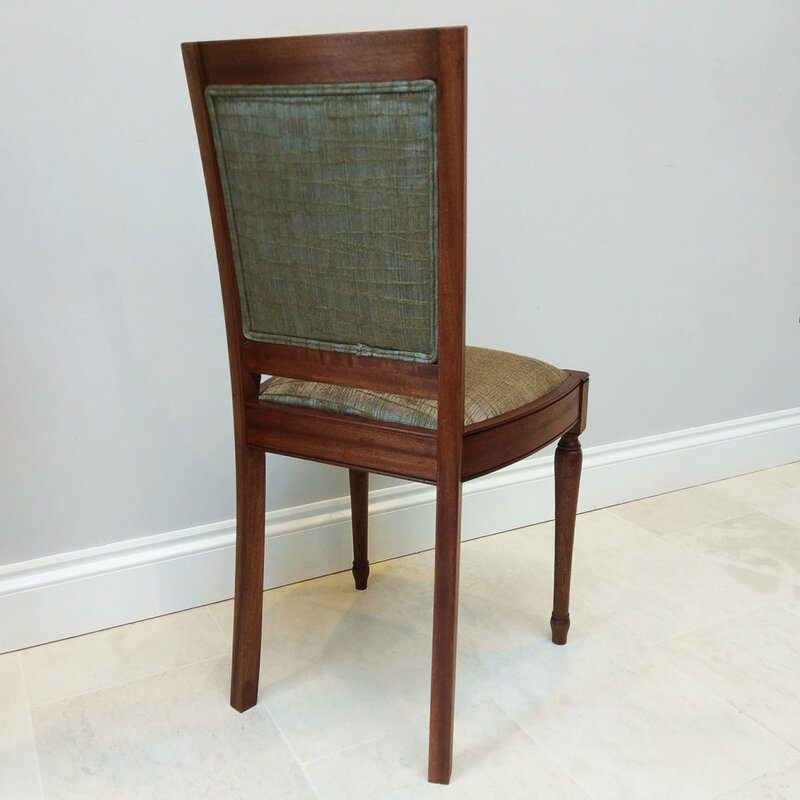 This chair was part of a set of 6 made to match a clients existing dining table. The back of the chair is framed with double piping.